Germany does not leave attempts to turn the European Union into a full-fledged state. The United States of Europe, which the leaders of the pan-European movement talked about after the war, in particular, former British Prime Minister Winston Churchill. German Chancellor Angela Merkel, speaking at the Bavarian Ottobeuren, called for the creation of a new structure within the European Union - the Security Council. By analogy with the UN Security Council, which includes the United States, China, Britain, France and Russia, and make major decisions about the fate of the world, including economic sanctions and military actions against the aggressors. And the rest of the world must comply with these resolutions. Recall that the EU includes 27 member countries, which greatly complicates the adoption of foreign policy decisions. After the Lisbon Agreement, which entered into force in 2009, the EU’s competencies have expanded. Since then, the “qualified majority” method (55% of member countries, 65% of the EU population) has been extended to decisions on financing the Common Foreign and Security Policy (CFSP), joint defense policy, the European police, space, energy, migration, etc. d. But in the key verdicts of the member countries remains the veto. So, if desired, Italy or Hungary could block the anti-Russian sanctions of the European Union. Merkel and pro-European politicians seek to improve the efficiency of the European Union. The idea of an EU Security Council is already on the agenda in Brussels. The rotation system implies that either the large member countries will be permanently represented in the Security Council, and the rest will follow each other. Or the strongest countries, like France and Germany, sometimes will not be able to participate in foreign policy decisions.The principle of unanimity in the CFSP can no longer remain a full-fledged mechanism, Merkel warned. 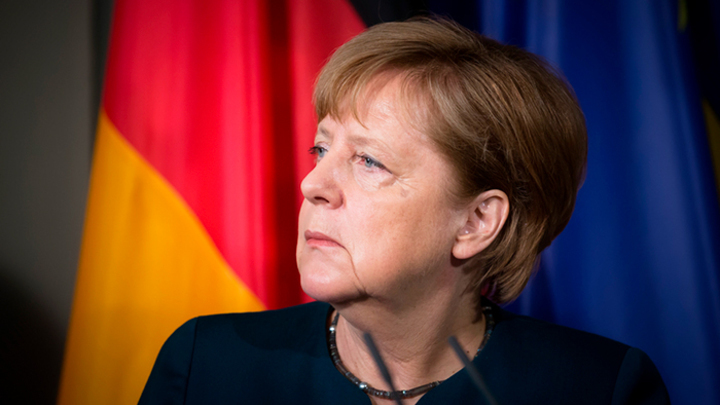 As an example, the German Chancellor cited a "grueling" sanctions policy against Russia. Often, one or two countries, like Italy, impede the automatic extension of sanctions and bring the issue up for discussion. "Nuances" emerge when discussing the United States, Merkel noted, apparently referring to the opposition of pro-American Poland, the Baltic States and Denmark.I must say that similar initiatives in April were also put forward by the head of the German Defense Ministry, Ursula von der Lyayen, and proposed to abandon the principle of unanimity in favor of the majority method. This should, in her opinion, allow the EU to "respond instantly to crises." At the last security conference in Munich, the head of the European Commission, Jean-Claude Juncker, also called for this. Centralization in Brussels is planned to be carried out not only by changing the decision-making mechanism, but also by threats of fines. Thus, according to the draft budget of the European Commission for 2021-2027, payments to countries that violate the values ​​of the block will be reduced. In the wake of the migration crisis in Europe, the position of the right has strengthened. The creation of the Security Council will allow leveling their influence and to impose sanctions against some countries..